British investment firm M&G Investments has launched a pair of emerging markets funds focusing on hard currency debt and income opportunities respectively. 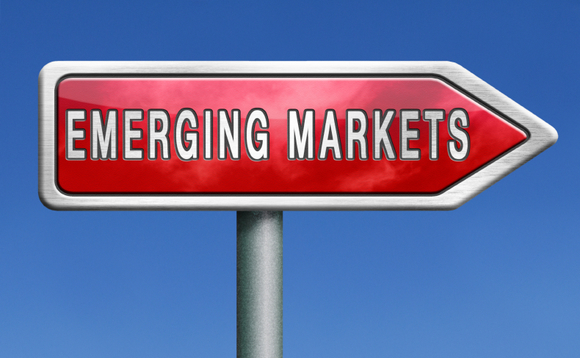 The M&G (Lux) Emerging Markets Hard Currency Fund will be managed by fund manager Claudia Calich and deputy fund manager Charles de Quinsonas that already manage the M&G Emerging Markets Bond Fund. The fund aims to blend high-conviction macro calls with fundamental credit analysis to build a ‘best ideas’ portfolio from the fund’s investment universe. The fund will seek to outperform the hard currency emerging markets bond market over a rolling period of three years. At least 80% of the portfolio will be invested in emerging market bonds issued by governments or quasi-sovereigns agencies denominated in hard currency. Second strategy launched is the M&G (Lux) Emerging Markets Income Opportunities Fund that will aim to deliver income (4-6% p.a.) and long-term capital growth by investing in EM equities and corporate debt. Michael Bourke will be the fund manager and Charles de Quinsonas, deputy fund manager. The team will follow a bottom-up approach. Stocks held in the portfolio will all be dividend-paying stocks, with a focus on potential long-term total return. Corporate bonds will be selected through fundamental analysis, assessing corporates’ business and financial risk, and incorporating views on sovereign risk. Graham Mason, CIO for M&G equity, multi-asset and retail fixed interest commented: “Emerging markets and developing economies account for 60% of the world’s GDP, presenting those investors who can navigate the higher uncertainty with better-yielding opportunities compared to developed markets. As of 31 March 2017, the firm managed €321.5bn of assets.